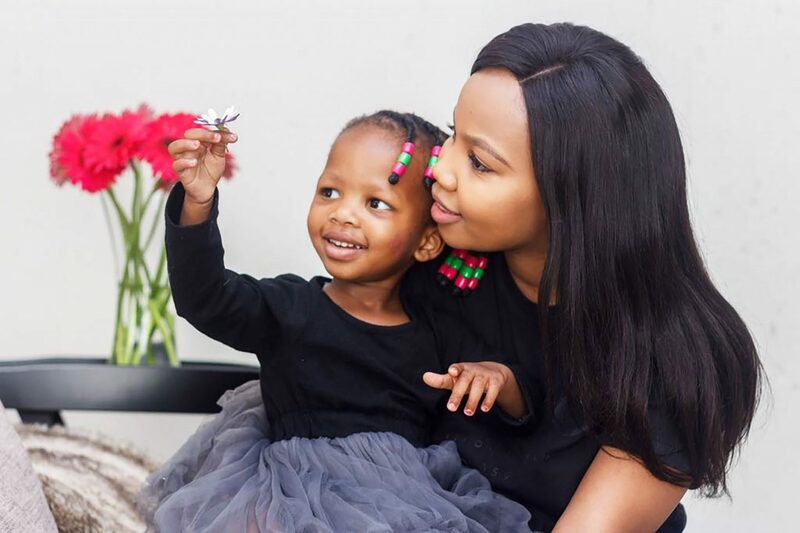 It’s been a little while since I’ve had a chance to feature a mama on here, so I’m really happy to be back at it with Thando from Modern Zulu Mom. I’ve been following Thando’s blog since I was pregnant with Kai. 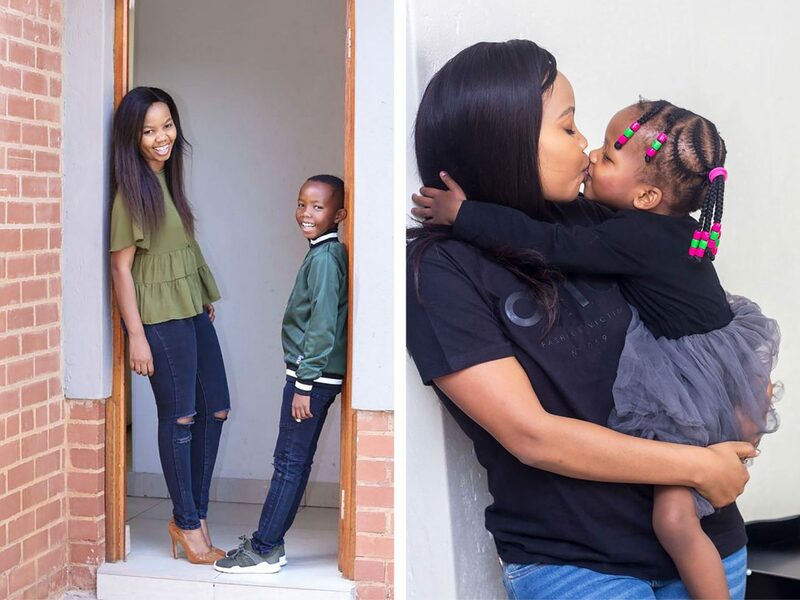 A real superwoman, Thando beautifully and realistically juggles work, family, blogging, entrepreneurship and has even thrown studying into that mix! She’s sharing her experience on becoming a mom at 21, her thoughts on mom guilt and how she manages to fulfill the different roles she plays. Hello everyone. My name is Thando – which means love in isiZulu. In my adult years, I have strived to live up to my name in as many ways as I can. I love people (particularly children), writing and expressing myself creatively. I wear many hats, a few of them being wifey, mama, talent management specialist and blogger at Modern Zulu Mom. I’m energised by connecting with people, mentoring the youth, scrolling through Pinterest and indulging in melted chocolate. My son Lesedi (9) and daughter Khumo (2) call me Mama. Your children are a few years apart and different genders, has your parenting style changed? My children are eight years apart and are different genders, so I would definitely say that my parenting style has evolved several times over the years. I had my son when I was 21 years old and found myself over-compensating for lots of things and carrying a lot of unnecessary and burdensome guilt for being a young mom. I overdid everything, just to try and ‘prove’ that I was good enough to be a mom. Only later did it dawn on me that good parenting has nothing to do with your age. With my daughter, I immediately noticed how much calmer and confident I am – I trust my own judgment and don’t fuss as much as I did as a first-time mom. What’s important for me to instill in both of them are the values of love, respect, and integrity. I want them to both be kind, confident, open-minded and well-rounded individuals. I overdose both of them with affection and words of affirmation. What would you tell your younger self about motherhood? I would tell my younger self that motherhood is not a contest – it’s a personal and individualised journey between me and my children. I would say this because I’ve found that it’s very easy to fall into the trap of comparing ourselves to other mothers or families, forgetting that we are different people, with different children and family circumstances. You are good enough and worthy of the blessing of motherhood as you are! I work full time for a corporate organisation, so it’s never always easy to juggle the home and work life, but I try to do so by having a consistent mid-week routine for the kids. We have an ah-mazing live-in nanny who is extremely organised (unlike me) and holds me accountable to the schedule. I cook most meals in advance and I put the kids to bed by 8:15 pm. Once I’ve showered, I’ll catch up on work or plan for the next few days. I’m looking to further my studies again, so I’ll be adding more items to my evening agenda – fortunately, I’m most productive at night. My family is an incredible source of support. The kids sleepover at my mom’s house on Saturday evenings, which frees me up for some quality time with hubby, a night out with my girls or some quiet alone time. Do you ever feel mom-guilt? Mom-guilt creeps up quite often – both when circumstances are out of my control, like not being able to make a school event because of work and when they are within my control, like choosing to spend a Saturday afternoon with friends. I don’t think it will ever go away, but when it happens, I acknowledge it then proceed to remind myself of all the other ways I’m winning as a mom. How do you stay connected to yourself and your partner? Some of the things I do to stay connected to myself are: writing, journaling, attending a Pilates class once a week, listening to podcasts and audiobooks, running to de-stress or finding (rare) moments to just sit in silence with my thoughts. The sleepovers the kids have at my mom’s are a life-saver for both alone-time and catching up with my hubby. Other than that, I leverage off technology to stay in touch and share inside jokes when they come up. I try to be a supportive partner, as equally as I am a supportive mother. The indescribable amount of happiness and fulfillment it brings. To this day, I struggle to put it into words, but it has felt like a natural and true calling for me. Having ‘another’ childhood – children see the world through a new perspective and it’s very refreshing. I have grown up with my children and I learn from them every day. Balancing my family life with my work life and personal goals and the paranoia around my children’s safety – I’m becoming more anxious about this. Any advice you want to give about being a mom? The advice I want to give about being a mom is that we should be kinder to ourselves – we do so much for our children and households yet hardly take the time to acknowledge the good that we do. Instead, we give ourselves a hard time over the little things we weren’t able to get to. So be kinder to yourself Mama, you’re doing the best that you can. Thanks Thando for sharing your mama wisdom with us! 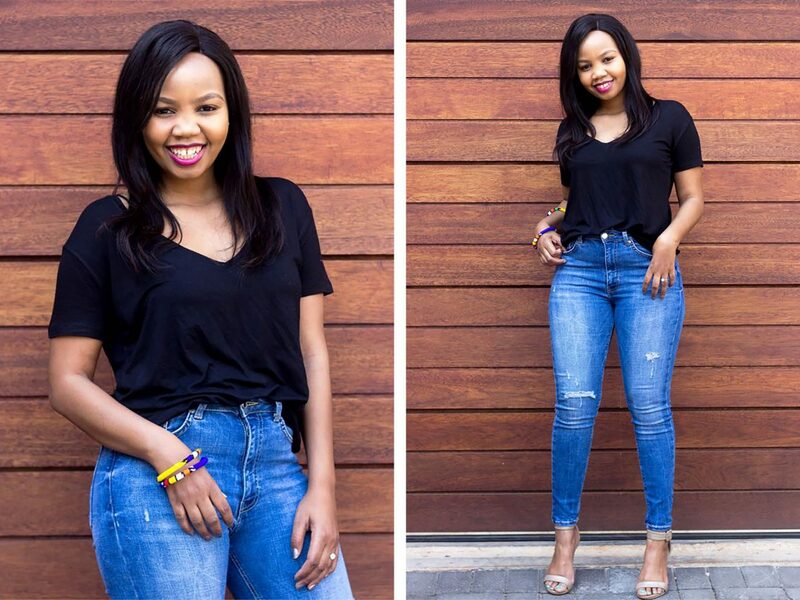 You can find Thando on her online home: Modern Zulu Mom and on social media: Instagram and Facebook. Previous Post Hair Shaming – Are You Also Guilty of it? Wonderful blog post ladies. Am already inspired by Thando as I already follow her blog! Your doing awesome Mommy! Keep up the good work! Women are amazing multi taskers- and we really should cut ourselves some slack when we take a time out from the kids. We are only good moms when we have filled our personal tanks and that way wwe have more to offer. This was so fun! Thank you for featuring me Aisha. I hope other Mamas will draw some inspiration from this. Much love! Thanks for being such a great sport and sharing your motherhood journey with us! Beautiful honest conversation. We always judge ourselves as mothers forgetting all the sacrifices we make for our kids and that we are doing the best. I love following Thando and her little ones.